Keys Communications is a township media specialist established in July 2009. The company is the brainchild of Anisa and Kabelo Kale, who strive to occupy all township streets with the relevant information of leading brands that wish to have a presence in the township growth market. Anisa and Kabelo Kale are media owners who seek to grant corporates access and positioning in South African townships. This is done through high definition production finishes on township walls, a tool that allows uncompromised quality and great value. Keys Communications is closely connected to township communities, in that while they work, they continue to uplift communicates through their Keys Communications CSI model. Key Communications empowers top brands to empower communities. 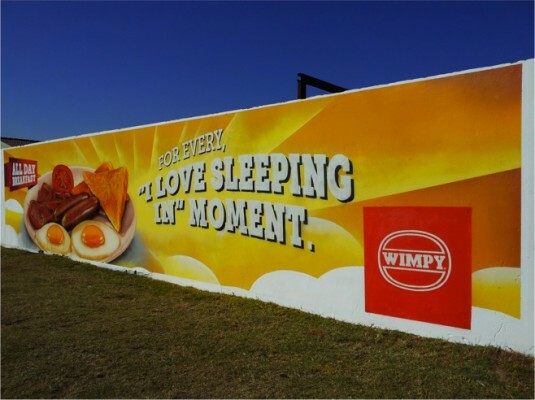 Its CSI model seeks to use existing township walls for advertising purposes, which also results in income for the use of the wall that has been advertised on.The giant outdoor layouts, including, wall wraps, township house wall media, boundary wraps and other alternative outdoor advertising stands out and adds colour to sometimes drab surroundings. Anisa Kale empowers budding artists by displaying their talent to the public. 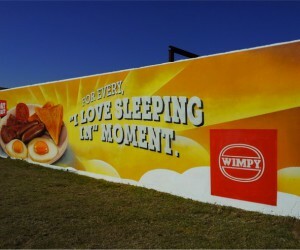 This has helped uplift and improve the image of townships all over the country. In return for the advertising space, Keys Communications pay home owners who own the property selected for advertising. “In this way we give back to the community. There is freedom in owning your own company, but it is also difficult because income is not always stable and changes according to how well Keys has performed during that month. But I stay driven, passionate and motivated because of the support of the people around me, and my husband,” says Anisa. Kabelo Kale is a communications strategist and contributes his expertise to the business as a knowledgeable professional. In the past Keys Communications has done work for Nike SA, SuperSport , Nedbank, Wimpy, Nestle , the Department of Water Affairs, Strepsils, Coca-Cola SA (Powerplay Energy Drink), Guinness Draught Beer, Eskom and Sofn' free GroHealthy.